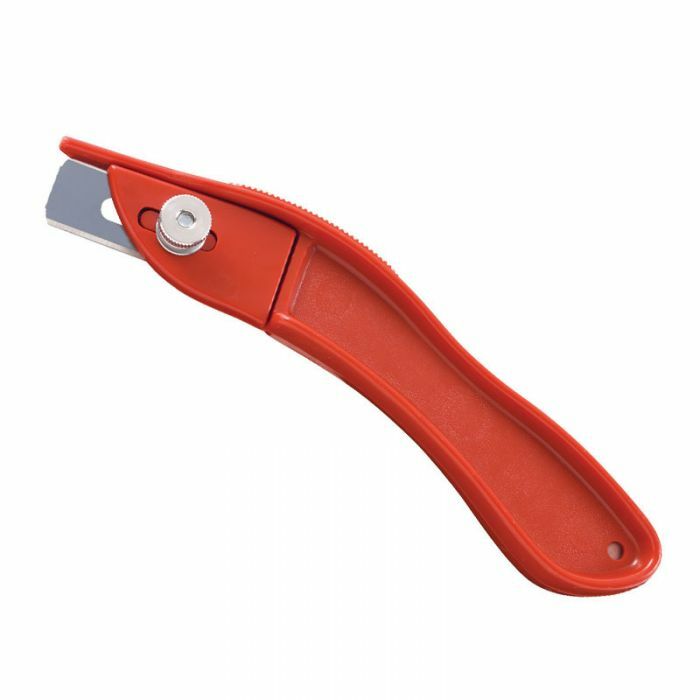 This popular inexpensive red plastic knife is contoured for a better grip and uses standard slotted blades. This popular knife is very economical and uses standard slotted steel blades. This durable plastic knife has a contoured body to provide a perfect grip and an attractive red finish. The blades can be easily replaced using the single-knurled thumb nut.